Leading telecom majors Bharti Airtel and Vodafone India have increased call rates by scaling down discount offers, setting the stage for the next round of tariff hikes in the industry. Sunil Bharti Mittal-run Airtel has also gone in for a second hike in internet tariffs this year after having increased rates in January. Fierce competition for subscribers had earlier forced telcos to slash tariffs. However, these companies are now reeling under huge debt burdens as they have had to shell out hefty amounts in the spectrum auctions held recently. The move to hike tariffs is aimed to shore up their falling bottomlines. Airtel has reduced the validity of its Rs 125 mobile internet pack from 28 to 21 days, which works out to Rs 170 for 1GB of internet pack for 30 days. 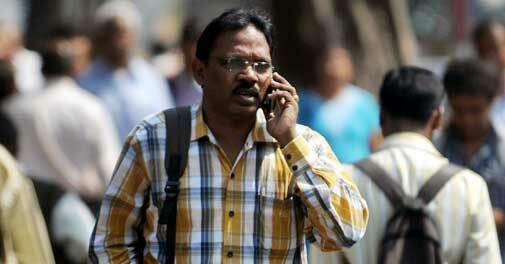 Till July last year, 1GB of 2G internet pack was available for Rs 98 for a 30- day period. Similarly, Airtel has also reduced benefit on recharge of promotional packs. Earlier the company's recharge of Rs46 voucher reduced STD and local call rates to 45 paise per minute, while now it will cost 50 paise per minute. Bharti Airtel has also cut on minutes of talk time. Now on recharge of Rs 48, one gets Rs 38 of talk time, while earlier users got full value of talk time. Asked to comment on the issue, Bharti Airtel said: " There is no change in headline tariffs. Reduction of discounts and promotional offers is a part of our ongoing strategy." Bharti Airtel with 20 crore subscribers commands a market share of over 22 per cent. Vodafone has also reduced validity on its promotional pack vouchers from 30 days to 24 days. In the last couple of years, mobile companies have increased their tariff rates in about a fortnight or month after change in rates of their competitors. Vodafone India spokesperson also claimed that there is no change in the base tariffs. " Promotion packs change from time to time for segment periodically as part of continuously refreshing the promotion pack portfolio. He said its tariffs differ from circle to circle and are based on local competitive activities in the market and there is no common change across the country. Similarly, in December 2013, Reliance Communications ( RCom) increased its 3G data rates by reducing free data usage by nearly 60 per cent in its most popular existing 1GB 3G data pack which was priced at Rs 123. Telcos have blamed tariff hike on high outgo on purchasing spectrum. In the recently held auction, telecom companies had to shell out Rs 61,000 crore in bid for 2G spectrum, which they would have to pay in next few years. Bharti Airtel and Vodafone will pay nearly Rs 37, 000 crore against spectrum purchase, which is seen as one of the prime reasons for hiking tariffs to cover up for the high cost and fresh investments.